V for Victory. Climbing to the summit of Mount Katherine, Egypt’s highest peak, was a personal accomplishment and a celebration for the beginning of my 30s. I resolved at this moment, to summit a mountain every year. To date, I have been true to that resolution. Background: With the new year, Daily Post, the 2011 source of weekly photo topics, was slow in producing a topic on the first Friday. Fellow blogger frizztext stepped up to the plate and offered to lead a weekly photo challenge, to find a photo from our archives, choose one based on the alphabet, each letter for each week. Daily Post eventually produced a topic. But that point, a group of us have been inspired by frizztext to continue on the alphabet challenge. b, for boys. Taken in Sinai, Egypt. I had been celebrating a milestone birthday with a climb up Mount Katherine, Egypt’s highest peak. The final leg of the descent, my guide and I stopped at a local Bedouin camp where a family was gathered. Despite being a lone Westernised woman walking into the home of a conservative culture, they welcomed me with open arms, a welcome pot of sweet tea, and a photogenic pair of boys, cousins. I showed the boys how my cameras worked and they lit up to see their faces on the playback screen. They tumbled and wrestled but frequently glancing up to make sure I was still photographing them. Following up with my quick blurb about hiking up Mount Katherine, I want to specifically mention Sinai. The peninsula is quite different from the rest of Egypt. 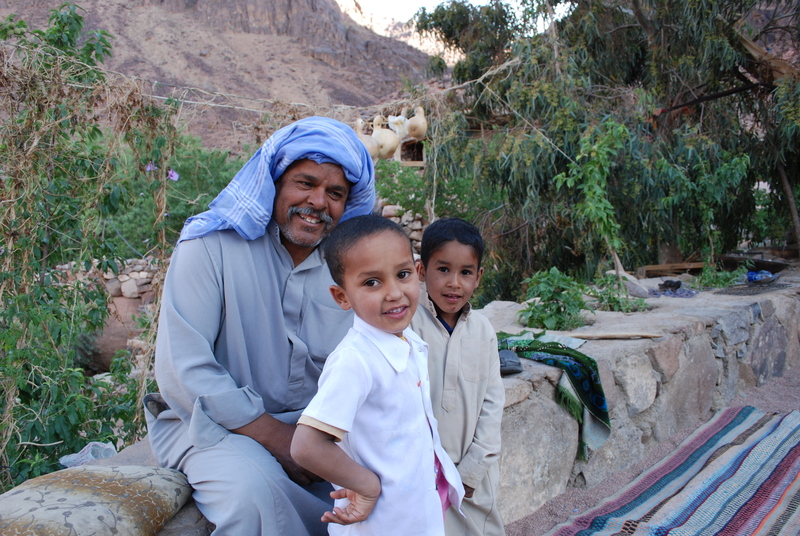 Unlike the Nile-based culture, Sinai is home to the Bedouins, and offers completely different geology and climate. 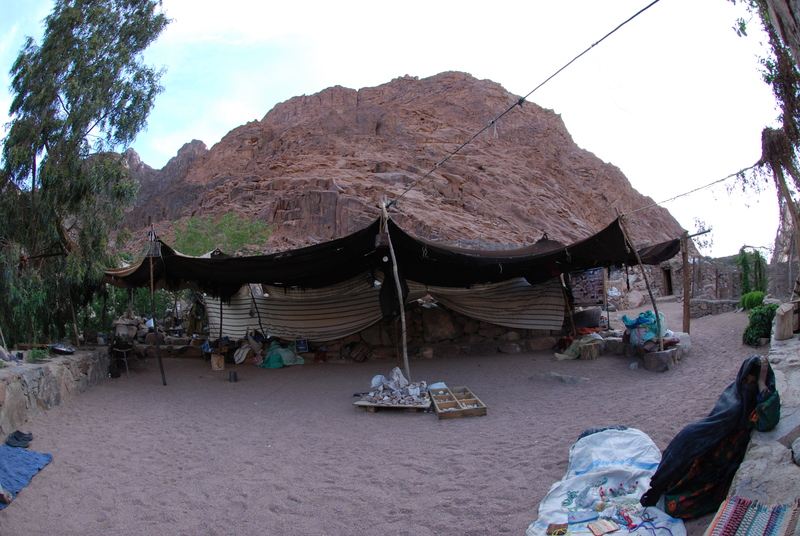 Saint Katherine’s protectorate is a small village build up around the economy of tourists coming to climb Mount Sinai. Despite the famous biblical landmark, tourism hasn’t made St. Katherine into a bustling place. Most tourists arrive in the evening, climb up over night, watch the sunrise, come down to visit the St. Catherine monastery, then hop back on the bus to be back on the beach by lunch. It was so common that locals welcomed the few travelers who stay longer with open arms and a health dollop of warmth. Since I had a spare afternoon before my hike, the local sheik’s son took me around the area as he made his neighborly rounds. He was well-known and well-acquainted. If someone wasn’t related to him, he was a good friend. 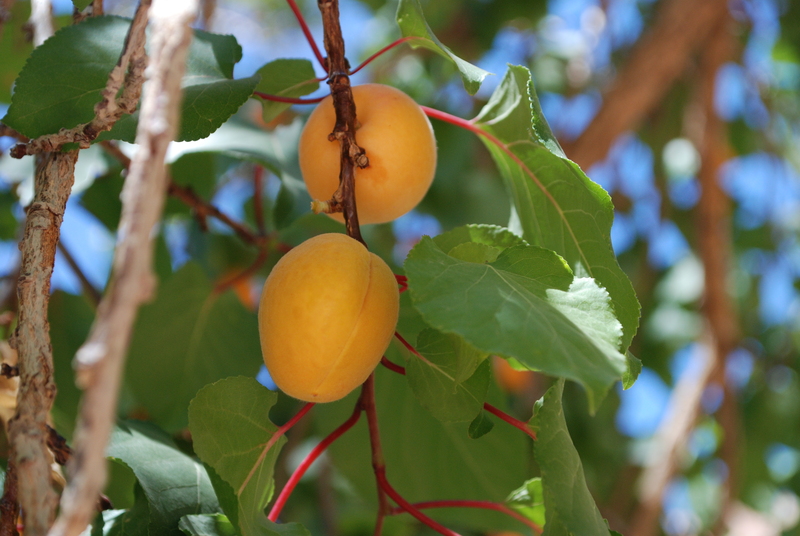 I found myself bundled into the same welcomes my guide received, invited to sit down in each of the camps for a cup of tea and some fresh local apricots. That recognition came to use the following day on our return from the hike up Mount Katherine. We passed the same camp and family orchard on our way back to the protectorate. The owner, recognising me from the day before, waved us over for tea. Exhausted and dehydrated, I was happy to accept. He, it turns out, was having a family reunion. His sons and grandsons from town were at the camp, playing games and chatting. Despite the women sitting back away from the center where the males crowded, the matriarch came forward to shake my hand. One of the sons brought me into the middle of the male circle, drawing me into conversation with his surprising fluent English. The family lamented my short stay, mentioning the next time I come back to Sinai, I should stay a week. 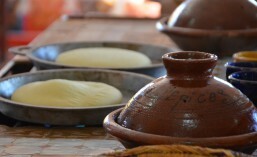 The local families open up their homes to visitors who want to experience the Bedouin lifestyle. The lifestyle I found so appealing in its open friendliness. While they maintain a very conservative culture with distinct dominance of male roles, they treated me, a lone foreign woman, with nothing but courtesy and graciousness.